It's basically the best thing ever. Scrapbooking is that mythical beast that's always interested me, but I've never been able to produce anything of quality over many years of earnest attempts. Yet I've always had a knack for planning and organization. So when the Polaroid Zip portable printer came out and teamed up with Erin Condren, all of my wildest dreams came true. Now you don't need the Polaroid Zip to add photos into your planner. Any printer and some glue could do that, but it's about the coolest thing to happen to planning in a very long time. No longer do I have to look longingly at well done scrapbooks knowing I'll never have the time, skill, or money to pull it off. Plus if you keep your old planners like I do, it's that much cooler to flip through. Planning has definitely changed things for me in the past few years. Not just in how I stay organized, but in my career and general life. It's been life changing to be honest and I love that it now can become an even bigger part with adding in photos. If you haven't added a photo to your planner yet, give it shot. 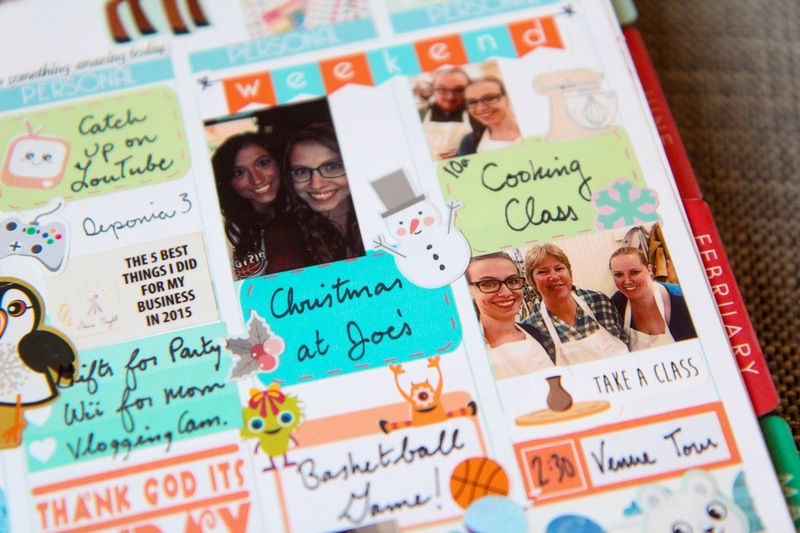 You'll soon realize that the planning/scrapbooking line has been blurred to one happy mix.